The Duchess of Cambridge, Kate Middleton, and Prince William are celebrating their fourth wedding anniversary today on April 29, 2015. The royal couple are waiting the birth of their second child who is reportedly due in the second half of April; and now it's almost May. 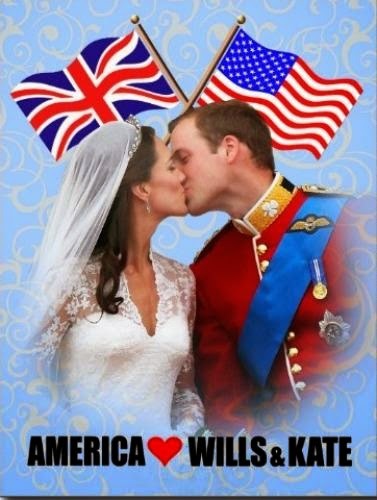 Postcard US-3014303 to Singapore shows William and Kate shared their first public kiss as husband and wife on the Buckingham Palace’s balcony after their wedding ceremony at Westminster Abbey on April 29, 2011.